It’s the season for staying warm and nourishing the heart! Te Hawthorne tree has been revered by the Druids and Celts since the times of old. Hawthorne berries can be a great source of relief for people experiencing intense feelings of loss, grief or angst. If you have just recently lost a loved one or had a bad breakup or you just need a bit of heart happiness support this herb is certainly worth a try! Other common names- Mayblossom, Quick, Whitethorn, Haw, Hazels, Gazels, Halves, Hagthorn, Ladies’ Meat and Bread and Cheese Tree. Haw, Hazels, Gazels, Halves, Hagthorn, Ladies’ Meat and Bread and Cheese Tree. Uses-As a Tea, Tincture, Syrup or in Capsule form hawthorne can be used to strengthen the walls of blood vessel. Extracts of the leaves, blossoms and berries have a compound in them that can have a tonifying effect on the heart and vascular system. Since the first century the berries have used in traditional medicine for a number of heart related ailments. 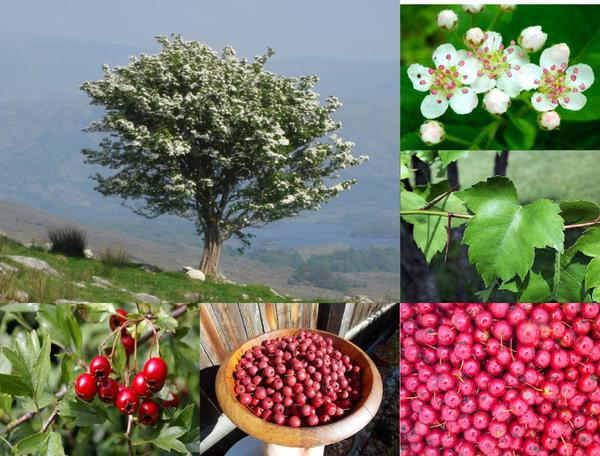 Hawthorn species have been studied for their use in treating health concerns for the heart and blood vessels, in particular; congestive heart failure, irregular heartbeat, chest pain, low and high blood pressure, angina, atherosclerosis and high cholesterol. Hawthorn berries are one of the most reliable herbs for heart related problems in modern herbalism. The Chinese use hawthorne berries mainly for digestive conditions to control the appetite, stimulate digestion treat diarrhea and assimilation. Great for digestion of heavy foods especially meats and starches. As a cardio tonic it can either strengthen a weak heart or calm an overactive heart giving balance to emotions and the body. Hawthorne berries can be a great source of relief for people experiencing intense feelings of loss, grief or angst. If you have just recently lost a loved one or had a bad breakup or you just need a bit of heart happiness support this herb is certainly worth a try. We just made a seasonal limited supply batch of a tasty hawthorne berry elixir, great for staying warm and happy during these cold months!